Individually hand-woven, jewel and natural colors. 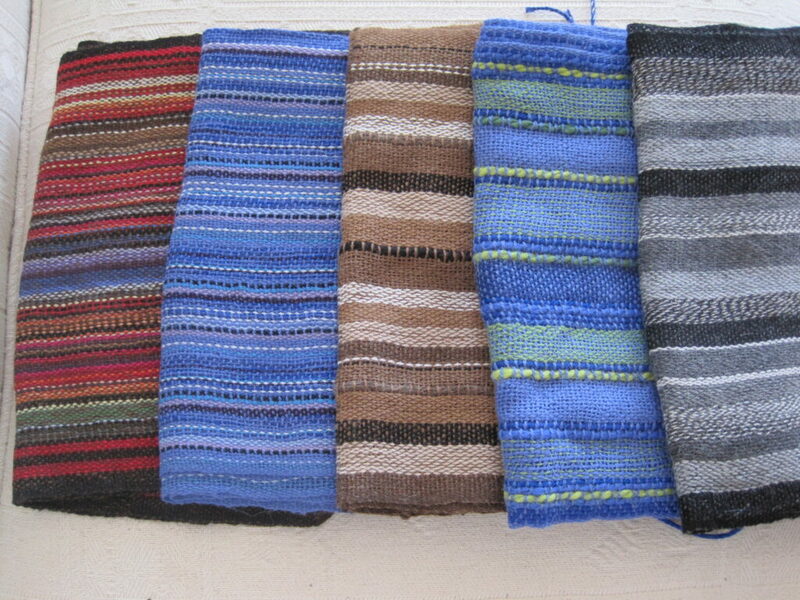 Rainbow, Caribbean Sea, Natural Earth (grey/brown), Natural Greys, Blues, All natural (Browns), and Red and Black stripe. Because these are hand-made, there is sometimes a delay in immediately filling orders, but your patience is worth the wait.